Cont.= 5 cm. This miniature leaf succulent is a gem of nature from the winter-rainfall Little Karoo. Truncated glossy leaves grow opposite in a row! There is a translucent window on the top of each leaf. It can stand windsill conditions. Haworthia truncata is one of the most unusual and attractive South African succulents. Miniature with glossy leaves growing opposite in a row, with translucent "windows". It stands windowsill conditions. Truncated glossy leaves grow opposite in a row. There is a translucent window on the top of each leaf. Haworthia truncata var. truncata grows in the winter rainfall region of the Little Karoo in the Western Cape of South Africa. This species is easy but slow. 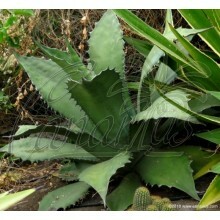 It naturally grows in half shade in a dry mediterranean climate with summer drought. 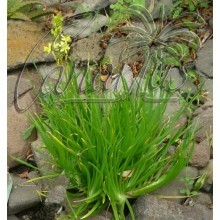 Nevertheless, it thrives in lots of different growing conditions. and can stand indoors windsill conditions if very bright light is provided, even in Northern countries. 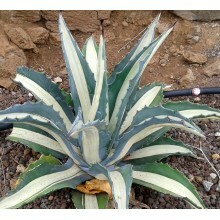 it can also adapt to drought and direct full sun. Soil should always be very drained, with abundant sand or grit. 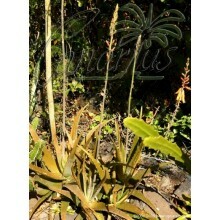 We offer a plant of the following size: Cont.=5 cm. Container size will give you an idea, but succulents are often sent bare root. These plants are very tolerant of bare-rooting.